We accept and can work from almost any application, but these guidelines will help to ensure that your job will look as good on paper as it does on your screen. If there is anything you don’t understand or you need any technical advice regarding your files, please contact us anytime and we will be happy to advise you. If you are supplying artwork in its native application, please include all fonts and any linked images in a separate folder. If possible, convert the text to outlines (or curves). Wherever possible, please also supply an Acrobat PDF file and a colour print of your file for us to check. We prefer to work from PDF or EPS files, so please use these file types in preference if your program supports them. For full colour process litho printing, please ensure that all colours are CMYK and no Pantone references or RGB images are used. Avoid low resolution images from the internet. Images should be CMYK and ideally above 200dpi. 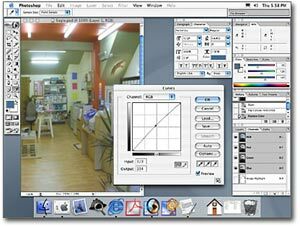 Scan any images you are going to use at 300dpi and save them as their intended size. For spot colour Pantone® printing when your job is in 1-3 colours, use only the correct colour references for colour separations. Not all programs support this so please check first. If your job has printing to the very edge of the page, please allow 1mm tolerance for cutting and 2mm around the outside as a “bleed” edge. For document printing, our DocBuilder® software does all the layout and imposition for you. If you just supply your complete job in page order (any size) we will do the rest.